Landlines are quickly disappearing from our everyday lives, but what's true for the individual does not always compute for public areas. Emergency phones offer invaluable parking lot and campus safety benefits unmatched by the cell phone. Learn why. Stationary emergency phones, commonly referred to as blue light phones (although they do not require a blue light be used) are as effective as ever in addressing emergencies, deterring crime and protecting those in the area. In fact, stationary emergency help phones used in parks, large workplace or student campuses, trails and parking structures provide even more dependability than that digital-age darling, the smart phone. This blog post explains why. The world is collectively staring into its smartphone. While it is the better option for sending a meme to your BFF, that device may not be as reliable when an emergency occurs and it all boils down to your most basic need: safety. Although bluebox security phones on campuses or in parking lots may appear to be a bit outdated compared to the convenience of phone apps, the opposite is actually true. Why? These phones are more than just landlines. In fact, many of these are not landlines at all, instead working on the cellular network – more on that later. They act as security stations that provide immediate and reliable emergency communications solutions. Because these phones are stationary, the location of the device is fixed and detailed address information should be preloaded and made available to responding parties automatically, if set up correctly (hence the ‘should’). Monitoring parties may include onsite security teams, municipal 911 centers or specialized third-party monitoring providers such as Kings III who can dispatch as well as provide pre-arrival instructions. Mobile apps rely on GPS, which is not capable of the same accuracy. As a result, the locator may be inaccurate and undependable, often times pinging on the wrong public safety answering point. This may cause the wrong authorities to be dispatched, increasing response time when seconds count. That said, stationary emergency phones do not require a landline, necessarily. Cellular options are available with battery backup and solar powered options also exist. Because the telephone location information can be preprogrammed for the monitoring provider, cellular campus emergency phones can be a great fit in areas with consistent reception, working around the typical issue of accurate location identification that we mention with cell phone apps. Cell phones can be damaged by water, and they may not work or turn on in extreme heat or extreme cold. What’s more- severe weather and emergency situations can keep you from getting the charge that you need for a dead phone. Emergency phones like the ones offered by Kings III are weather resistant and can survive all types of extreme weather. An emergency phone’s battery will last longer than a cell phone's, and it won’t get left behind in an Uber cab. If and when emergencies occur, reaching for an emergency phone can be far more efficient and time- (and life-) saving than fumbling with a smart phone. Kings III emergency phones reduce the complexity to simply pushing one button and alerting first responders- no fuss. Additionally, they are far superior in areas that have spotty or unreliable wireless coverage when seconds matter. 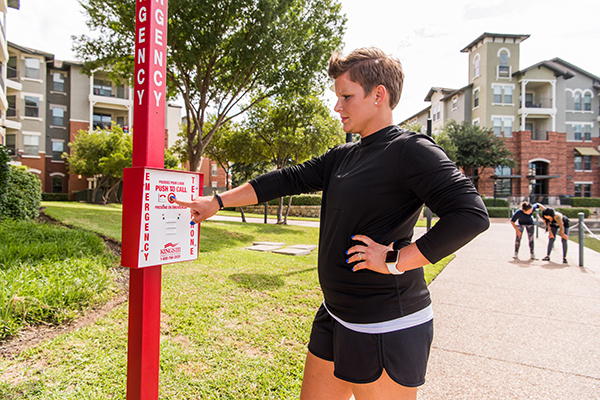 The presence of emergency phones on campus or in parking lots can add to the perception that crime will not be tolerated and that security is on the watch. While there is an investment in emergency phones up front, the subsequent maintenance costs are low; the phones are guaranteed and last for a long time. Have a phone malfunction or breakdown? Our all-inclusive service provides lifetime maintenance free of charge. 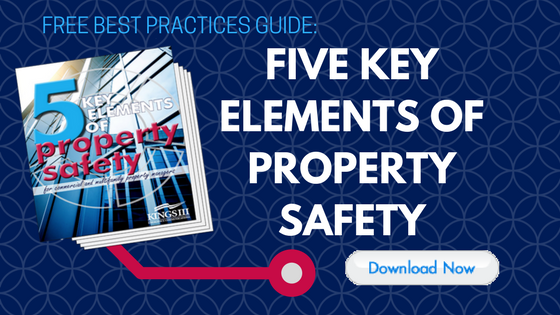 Even in the digital revolution, property managers still find unmatched safety benefits through parking lot and campus emergency phones. These instruments are as effective as ever in actively fighting crime, promoting protection and providing emergency response when needed. To learn more about how Kings III can assist in upgrading safety measures on your property, visit www.kingsiii.com.